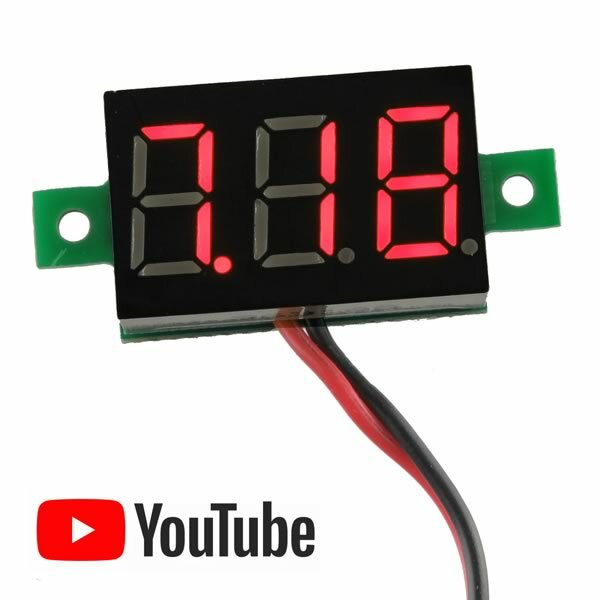 Compact 3-Digit voltmeter measures 2.8VDC up to 30VDC and displays it with bright red digits. Size only 0.55" x 0.90" (excluding mounting ears). Simple to use - just connect red wire to (+) and black wire to (-). Requires about 23mA. Brand New!